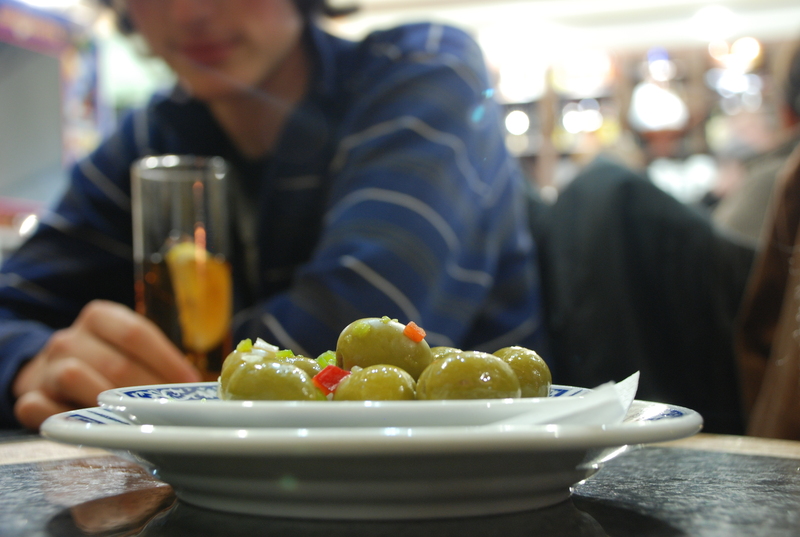 Ah tapas – those lovely little dishes of Spain. Even if you’ve never been to Spain, you know what I’m talking about – snack-sized portions of food that showcase all that’s wonderful about Spanish cuisine. Think pimiento-stuffed green olives, glistening marinaded anchovies, crisp fried baby squid, a silky slice of tortilla, chorizo flashed in a gutsy red wine, fresh-out-the-sea garlic shrimp, fried potatoes with a fiery chilli sauce, a skewer of paprika-grilled pork. It’s not always done right, even in Spain, while in many parts of the world ‘tapas’ appears to be shorthand for ‘not very good food we can serve in tiny portions at a huge mark-up’. Still, you’ve got a better chance in Spain than anywhere else of stumbling across sheer tapas heaven, simply because it’s such a big part of the culture. Over the years I’ve travelled right around Spain, stuffing my face in city after city. It’s a job, people, someone has to do it. So here’s why, how, what and where to eat the best tapas in Spain – my top tips for a tapas tour (and try saying that after a glass or three of vino). 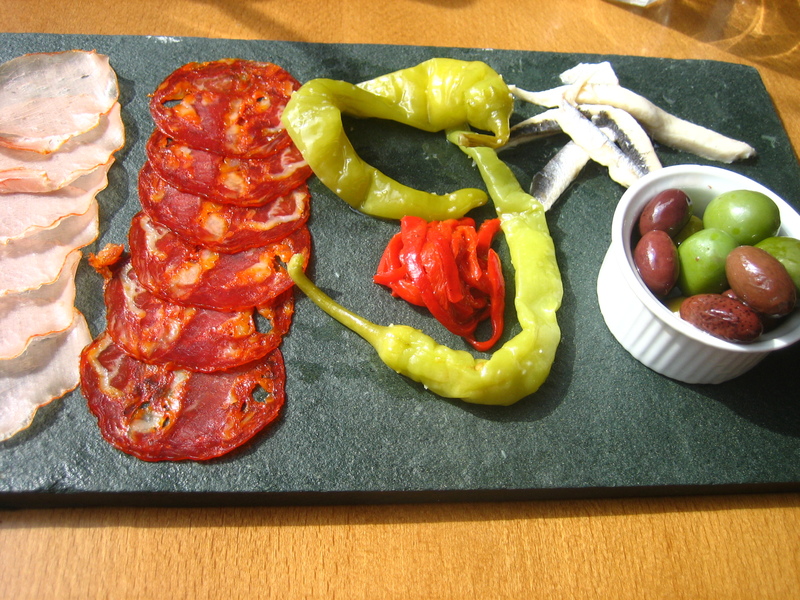 Tapas comes from the verb ‘tapar’ – meaning ‘to cover’. And the story most often told is that, back in the day, your drink at the bar would come with a small dish of olives or other tasty morsel, covering the glass, to keep the flies off. Bars began to specialise in certain types of food, and eventually tapas – the food – became a thing in its own right. The point in days gone by was that this was free food, given with your drink. That’s not so common in Spain these days – though there are honourable exceptions – but it’s not so strange either, if you consider the whole cocktail/happy hour/canapé scene in many big cities. This is food you eat before you go out to eat, and locals across Spain flit from bar to bar, sampling a bit of something here and another bit of something there, accompanied by a crisp fino sherry, a glass of fizzy Catalan cava or Asturian cider, or a small cerveza – whatever the local tipple is. As you’ll soon see, there’s no such thing as a ‘tapas bar’ in Spain. You’re not going to see that sign anywhere. They’re just regular (or fancy) bars that also serve tapas,. If it’s called a bodega, it probably specialises in wines; a cerveceria is good for beers; and a xampaneria in Catalunya is a champagne place. Best thing about tapas? You don’t need to speak any Spanish (or Catalan or Basque). The food’s ranged along the bar and you point at what you want. Sometimes there’s a chalkboard or a menu, so a dictionary or menu reader will also come in handy. If you want more than just a tapas taste, ask for a ración (a portion, a bigger serving). Some regions and bars will have their own speciality. If you want grilled octopus or fried squid, you need a Galician bar; if you want patatas bravas in Barcelona, the only place to go is Bar Tomás. You know how you find out where the best places to go are? Ask a local. Period. Some areas do their own special kind of tapas. In the north, in the Basque region, it’s known as pintxos (pinchos) – little bits of food (shrimp, pork, tortilla, peppers, whatever) piled on little rounds of bread and secured with a cocktail stick. You eat, you collect the sticks, and at the end your barman counts up your sticks and charges you accordingly. Oh, and tortilla? Not a soft flour flatbread, but an omelette – just egg and potato if it’s done right. 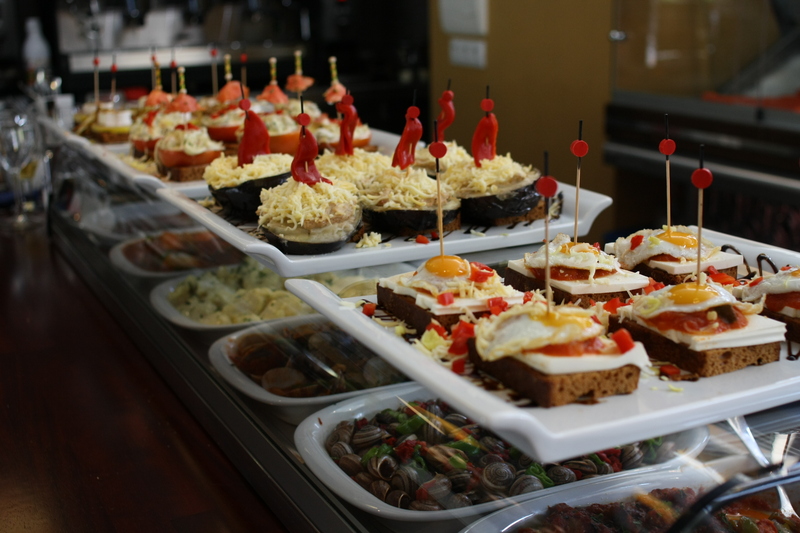 Pintxos on the bar – just take what you fancy! If you had just a week in Spain, and went to the following five cities, you would eat amazing tapas – and spend the rest of your life shouting at poor waiters in your own country, “This isn’t right! Bring me the real tapas! Not the rubber squid and microwave potatoes! I know my rights!”. Barcelona Spain’s coolest city has some classic old tapas bars in the downtown port and market areas, but it’s also full of new-wave designer fusion tapas places. And if that sounds simply awful, well – in the right hands – it’s not, it’s great. Griddled razor clams with a wasabi dressing anyone? León A beautiful northwestern city with a beautiful cathedral, León is also one of the few places in Spain where tapas still comes free with a drink! 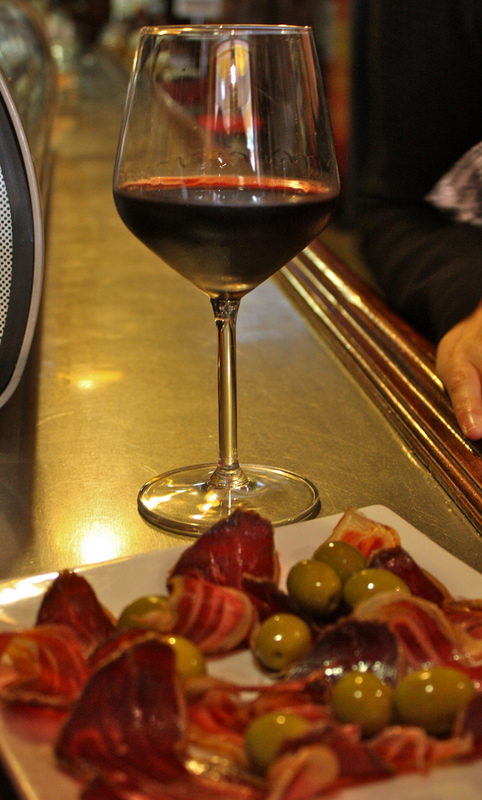 Most bars in the old town offer up a nibble of something if you buy a small beer or glass of wine for a euro or two. Madrid The capital has a famous bar scene, and the tapeo bar crawl sees the most popular places standing room only from 7pm onwards. Follow the crowds from bar to bar around Plaza Santa Ana and La Latina. Málaga The city on the coast, near the holiday costas, is much nicer than most of the nearby high-rise beach resorts (and was the birthplace of Picasso no less). It’s also famous for its seafood tapas, particularly little fried fish, which you eat on the seafront promenade, watching the sun go down with a glass of something icy cold in the other hand. Logroño La Rioja – the region – is all about its wine, but in Logroño it also has a supreme tapas destination. Calle Laurel (Laurel Street) is heaving with fabulous tapas bars, each with its own speciality – garlic mushrooms in one, pork skewers in another, cured ham down the street, and so it goes on. 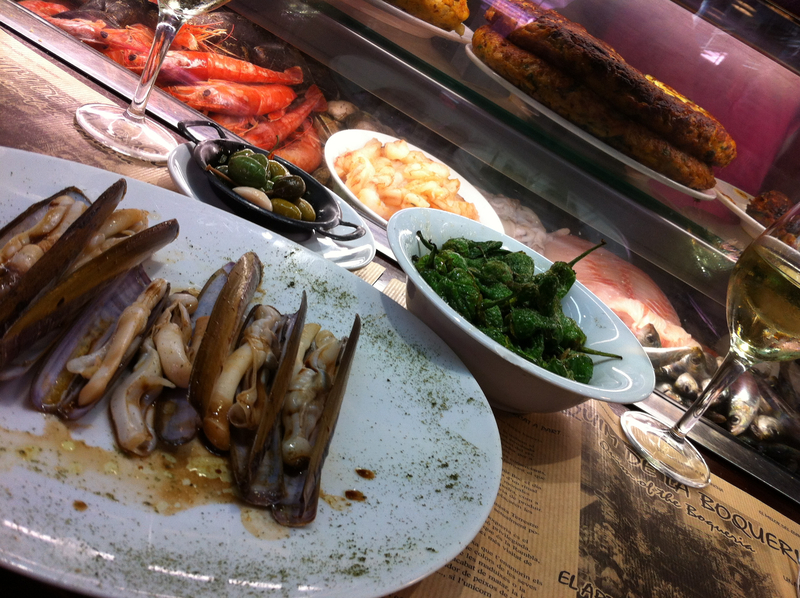 Let me know how you get on – I’d love to hear of any great tapas towns I missed.